Your dog can’t resist this chew. 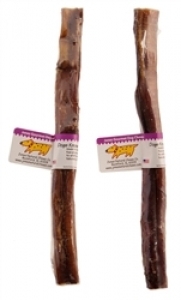 Bully Sticks are long lasting, highly digestible, and protein rich. Don’t be mistaken; this is not a bone. Our Bully Stick is USA all-natural bull pizzle oven baked with no artificial ingredients added.